Save time. Save Money. Get Xalam. The purpose of a dashboard, it has been said, is to provide the greatest degree of understanding with the least amount of effort. Our data visualization tools are designed to do precisely that: provide you with a deep grasp of the market or opportunity you are assessing – with limited, to no effort. 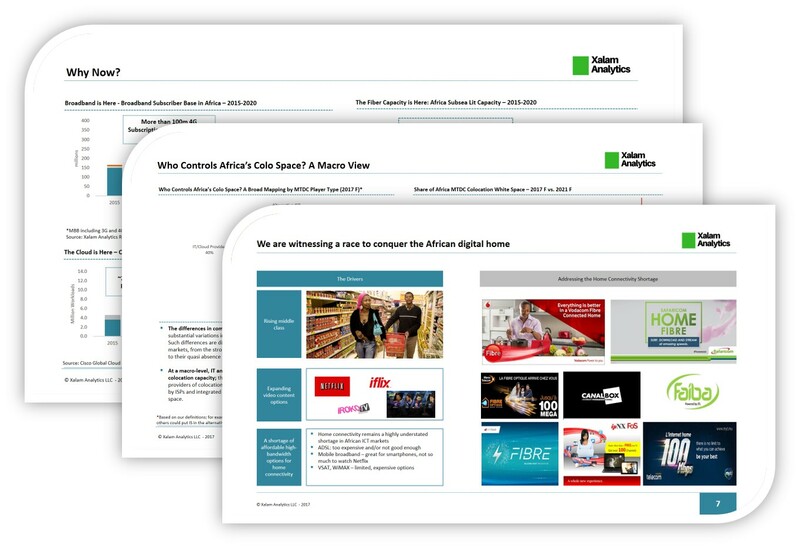 Access thousands of interactive data points covering digital markets, across 100+ service providers in 40+ countries; and answer key questions in 3-5 clicks, or in a matter of minutes. The Xalam dashboards are not static – they are constantly expanding and evolving, as our team gathers new data points or runs new correlation analysis. 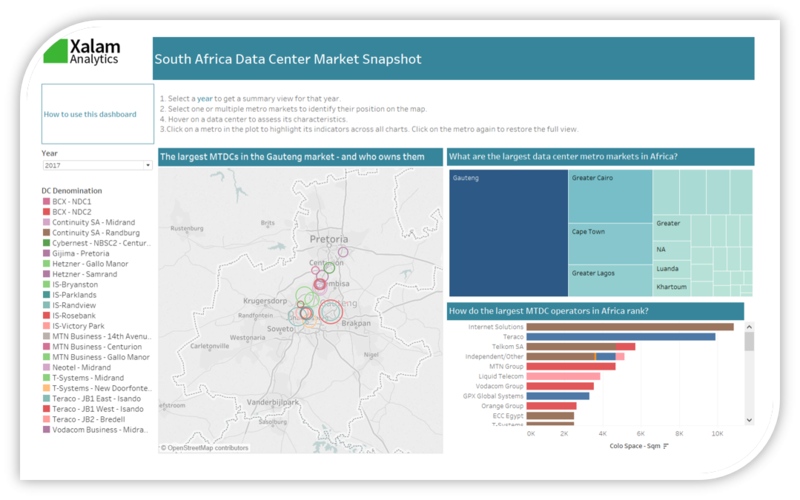 We are constantly developing new interactive visualizations in response to customer needs and market trends, thus expanding the scope and depth of the business analysis available to you beyond your core subscription. With Xalam, you get more than your subscription says you’re getting. Along with our dashboards, our qualitative investor reports are core to the Xalam research identity. We go in-depth on specific issues and questions facing investors in digital economy markets in the Middle East and Africa. 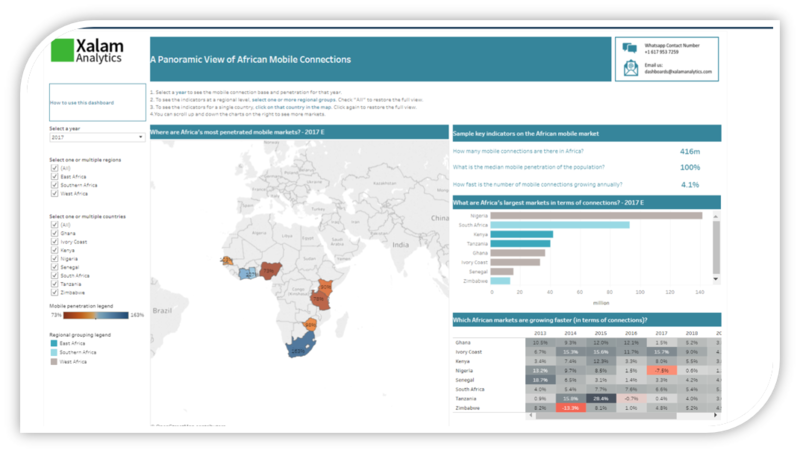 Our analysis covers specific market segments, or specific countries, all with the Xalam "where's the money" focus. As a Xalam Premium subscriber, you don’t need to pay extra for any public report we produce. Log in, download, and enjoy. You have a very specific custom research need? Want to test some hypotheses, explore key questions within a relatively short timeframe? You’d be surprised, at what an analytics platform, combined with hundreds of thousands of data points can do. We’ll assess your project – if we can do it within your preferred timeframes, and at the highest standard of quality, we will. If we cannot, we will tell you why, and lay out feasibility options for you. It’s ok. It's all part of your subscription. Save your money. Save your time. We’ll take care of it for you.